Finally, I could eat one of my target food ! 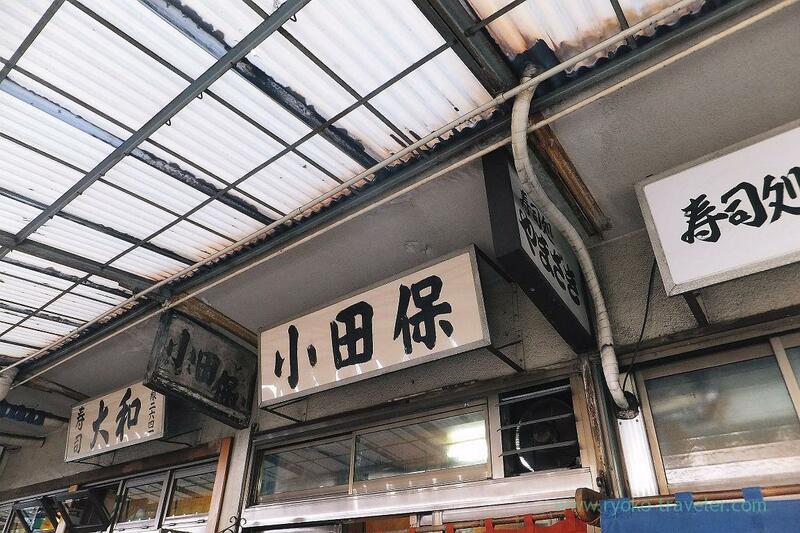 Recently several blogs’ posts about the limited foods at Odayasu attract me. When I visited Odayasu last time, they didn’t prepare those foods and I was great disappointed. So I ate deep fried Spanish mackerel, but I couldn’t taste though it was enough good. I couldn’t give up eating those foods all the same and went to there again. Yay! Sweetfish was on the menus of the day though saury was not ! 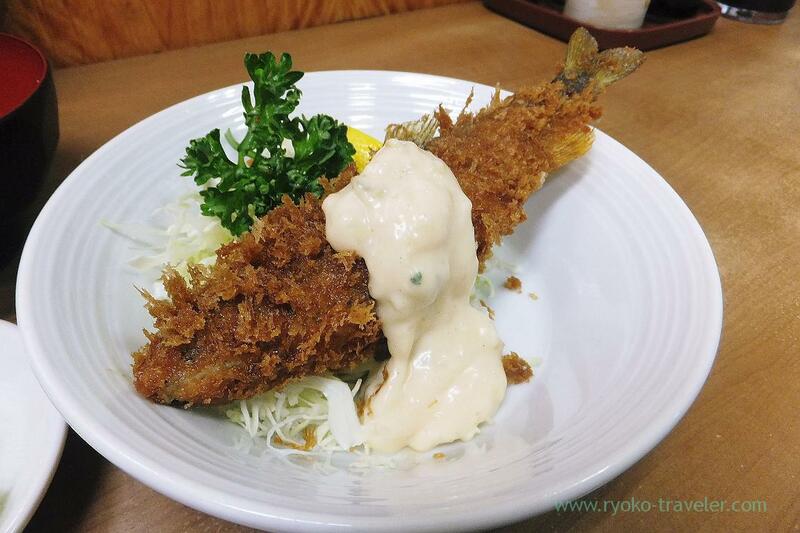 Of course, I ordered deep fried sweetfish with its eggs (子持ちアユフライ, 450 yen). But judging from its price, it’s one sweetfish. Sweetfish is rather small fish. So, I needed to order another one for fulfill my stomach in the morning. I thought fried foods with butter is good with deep fried foods. 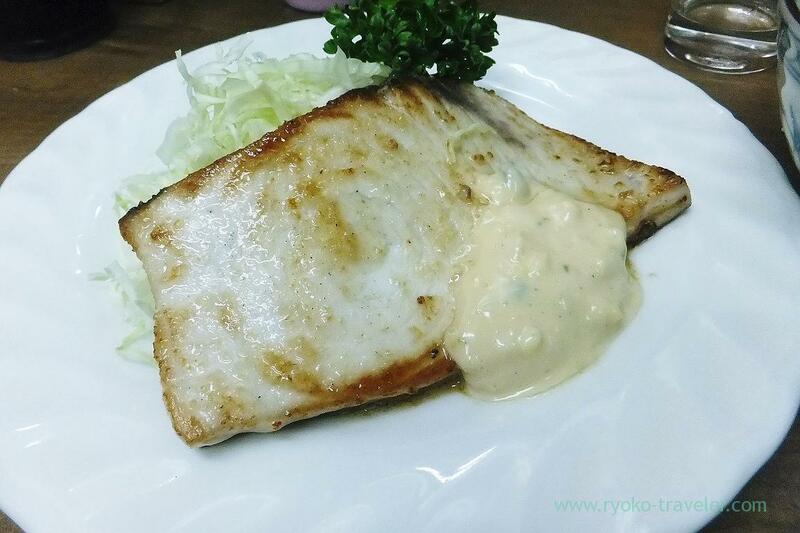 At first, I thought sea bass that is limited foods is the best choice for me. But sea bass is fatty and it is might not be good foods with oily deep fried foods. So,I thought fried swordfish with butter is the best. 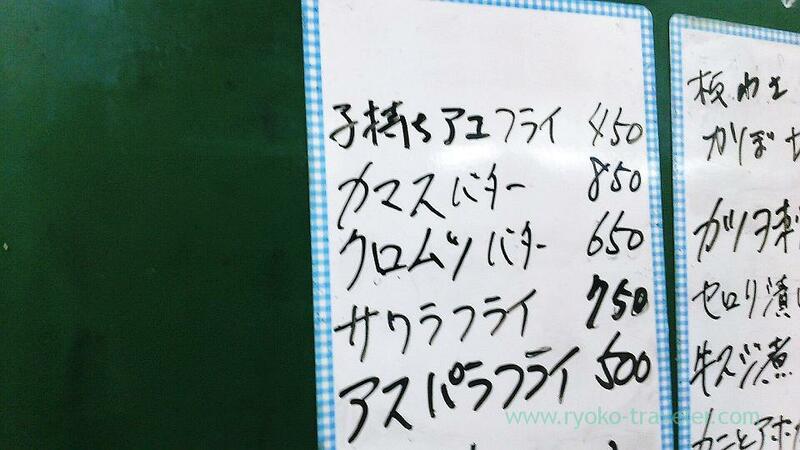 It is the most popular foods at Odayasu. Whenever Odayasu is featured by magazines and TVs, this food is featured without fail. But I hadn’t eaten yet. So I decided to eat it. 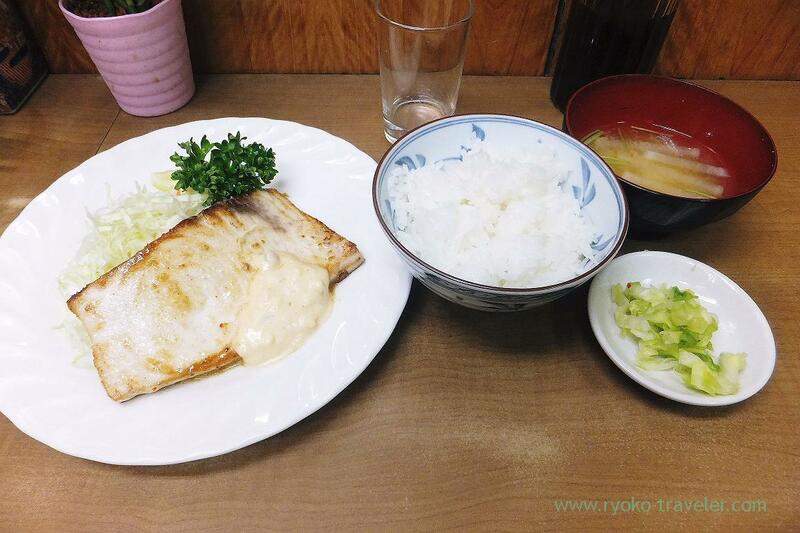 Fried Swordfish with butter set (メカバター定食, 1050 yen) occurred me. After a while, my longing deep fried sweetfish its eggs was served ! Whole sweetfish was deeply fried with crispy coating. I could eat this whole fish up though its head was a little tough. Anyway, its innards were bitter and the bitterness was awesome ! Odayasu’s vegetables are good, too. Your posts make me want to eat more fish now!